West Virginia Smokeshop house pipes. 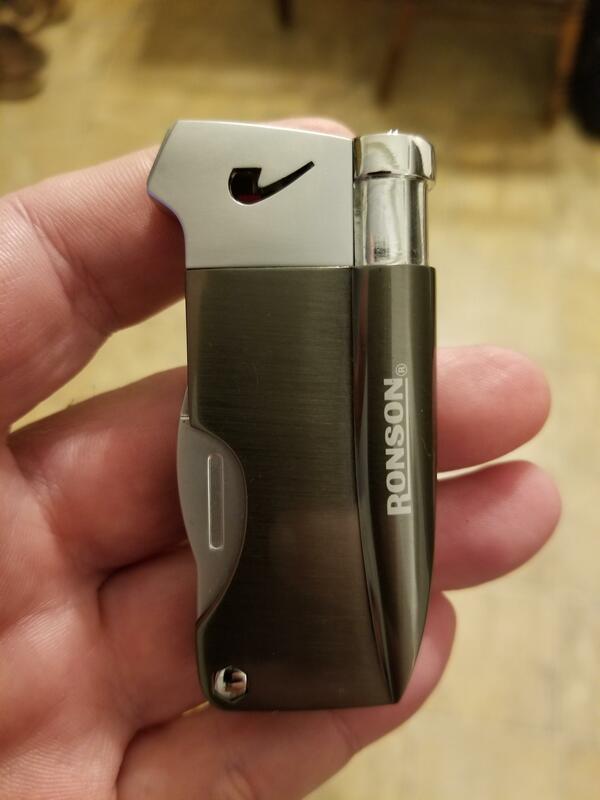 The lighter looks to be the same as the ronson that can be found at Walmart relatively cheap. I've had this one for a bit and it works perfect as long as I fill it with good butane. I have one too, but the tamper button broke off.